Bojar is a very high drive, high energy canine that enjoyed working for his reward. 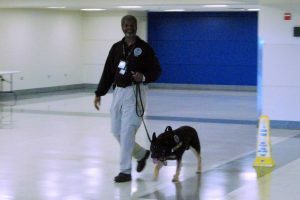 He worked hard and fast and had great endurance for a large airport like O’Hare. Bojar had a great 6 year career and is now retired. Bojar enjoys playtime with my other canine in the city of Chicago.